The U.S. 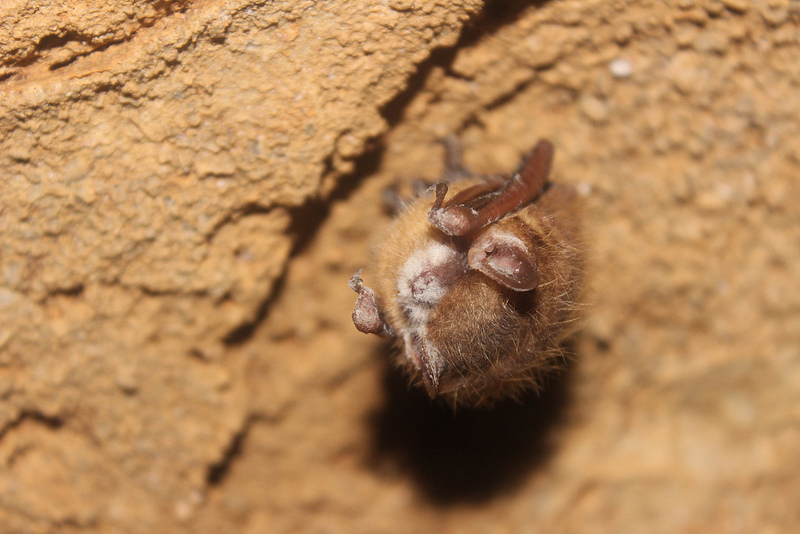 Fish and Wildlife Service has just announced grant awards totaling just under $1 million to 35 states and the District of Columbia for white-nose syndrome (WNS) related projects. State natural resource agencies will use the funds to support research, monitor bat populations and prepare for and respond to WNS, a disease that afflicts bats. The USFWS is leading a cooperative effort with federal and state agencies, tribes, researchers, universities and other nongovernmental organizations to investigate and manage the disease. In addition to developing science-based protocols and guidance for land management agencies and other partners to slow the spread of WNS, the Service has funded many research projects to improve understanding of the disease and support sound, effective management responses. Funding for grants was provided through the Endangered Species Recovery and Science Applications programs. Thirty-five states and the District of Columbia submitted proposals requesting $1,589,789. All requests were given partial awards, ranging from about $13,000 to $39,000, for a total of $998,767.